This entry started as the first in a series discussing the add-ons, techniques and approaches that I use with ExpressionEngine (EE). It has turned into a look back at how I got my start in Web Design and how I ended up using EE in the first place. My career (which incidentally was never meant to be a career) as a web designer has had, what I suspect is a very natural and familiar progression, especially when you've been doing it for as long as I have - did I really create my first website around 1995, 1996? My first experience with the internet was browsing with Lynx which you can download and install if you want to browse the web via a text editor (which is a surprisingly good way to test your site for usability). Go to college (to get a degree in Elementary Education) and experience the web via a text browser. Exactly as exciting as it sounds. Experience the visual web via Netscape Navigator. The internet suddenly had appeal. Buy a computer, an Apple Performa 6320 which I may still be paying for, and pick up one of the myriad AOL floppy disks to get on the internet. You thought AOL only sent out CDs? What's a floppy disk? Create Cool Horrible Free Website at Tripod, GeoCities. See potential of internet. Create static website using Adobe Pagemill which I then hosted on an ad sponsored web server. Upgrade to Adobe GoLive and make more static websites which I start hosting on a non-ad supported server. Launched eMorgantown.com, my first community directory using Filemaker and 4W Web Merge. That was a mess and I'm pretty sure I've forgotten everything I learned about Filemaker. It was about this time that I realized that the browser vendors took particular pride in making life difficult. It's hard to say how much time I've spent debugging issues related to specific browsers. Needless to say, not really being able to write or read code made this extremely difficult. Launched InThePanhandle.com - my first dynamic, community directory, which was a combination of PHPMyDirectory and MovableType. Started using Dreamweaver when Adobe made it fairly obvious that GoLive had no future. Dissatisfied with the direction that MovableType was taking and needing a better publishing system, I stumbled upon ExpressionEngine, which I then went "all in" with over the course of a trip to New Orleans and developed a site for an international missionary magazine that included the ability to subscribe as well as view back issues / articles. This was an amazing feat and it happened over the course of about two weeks. I've been in love with ExpressionEngine ever since. Picked up a copy of Espresso in a MacHeist bundle and learned to write (and enjoy writing) code. There were (and are) a lot of crutches out there that helped stunt my growth as a web designer. The easy path was really a dead end. The combination of EE and the focus on standards based design finally pushed me in the right direction. As with any piece of software, there was a learning curve to ExpressionEngine (#eecms) and since that initial site, I've developed (or redesigned) roughly 20 websites using EE. I finally feel that I'm starting to grasp not only the way that EE was meant to be used but also, the best way to use it. In this series of posts, I will attempt to explain how I solve specific problems or achieve particular results with examples, images and code - to help me to remember and to help the community in general. By no means am I an expert, but I have spent a lot of time using EE and hopefully, these will be helpful. 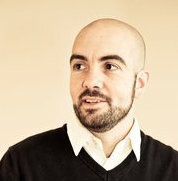 A special thanks has to go to Michael Boyink (@boyink) for his book, Building an ExpressionEngine Site - Small Business. This book was instrumental in my ability to develop that first EE site and I'm sure that without it, this story would have a different ending.